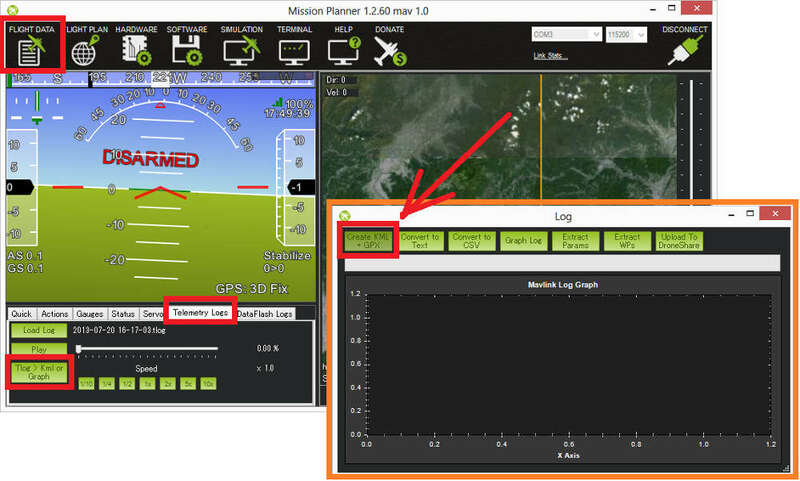 Telemetry logs (also known as “tlogs”) are recorded by the ground station when you connect ArduPilot to your computer via a telemetry link. This topic explains how to configure and access tlogs. Dataflash logs collect similar information to tlogs (see Diagnosing problems using Logs for more information). Tlogs are recordings of the MAVLink telemetry messages sent between the flight controller and the ground station and are automatically created the moment you press the connect button on the ground station. If using the Mission Planner, files of the format YYYY-MM-DD hh-mm-ss.tlog appear in the “logs” subfolder in your Mission Planner installation folder or to the location you select in the Planner options [Config/Tuning] [Planner]. Besides the “.tlog” files, “.rlog” files are also created. These contain all the .tlog data plus additional debug output from the mission planner. but cannot be parsed or played back so they should be ignored. 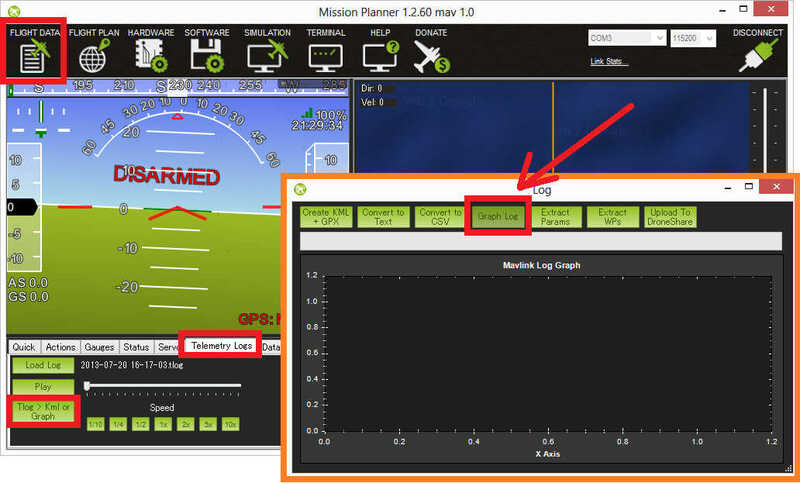 The desired rate at which data is sent from the flight controller to the ground station can be controlled through the mission planner’s Config/Tuning > Planner screen’s Telemetry drop-downs. Because all data sent over the telemetry link is also recorded in the tlog, this also controls the rate of data saved to the tlogs. Note that due to bandwidth limitations, the actual rate of the data sent and saved may be lower than the rate requested. You can also jump to the point of interest in the log using the slider and control the speed of the playback with the predefined Speed buttons. While the log is replaying, the HUD will move and the vehicles location on the map will update as it did during the flight. 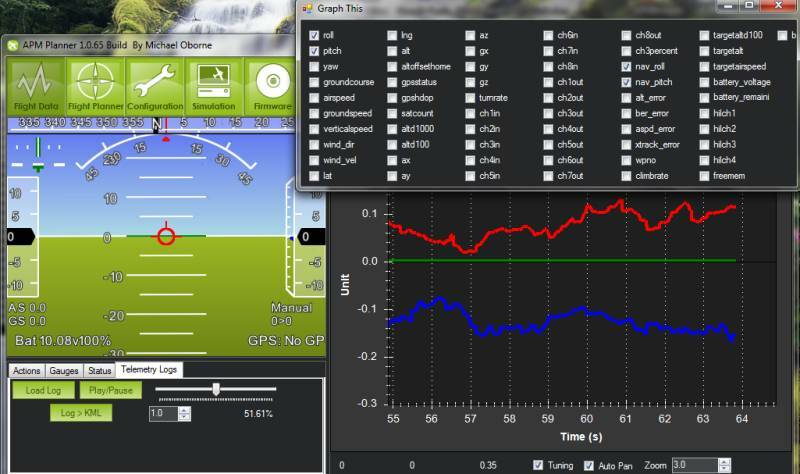 Individual data values can be seen through the Status tab and you can even display them in a graph by clicking on the “Tuning” checkbox under the map and then double clicking on the data legend to bring up a box from which you can choose exactly which data fields are graphed as shown below. This will show the recorded data changing as the flight progresses. A .kmz and .kml file will be created along side the original .tlog and this can be opened in google earth to interactively view the 3d flight path. You can open the kmz file in Google Earth to view the flight or path. Just double click the file or drag it and drop into Google Earth. Find the log file’s name in the “Places” pane on the left. It should appear in a “Temporary Places” folder. Right click on an individual path and select “Properties” to open the Edit Path window. 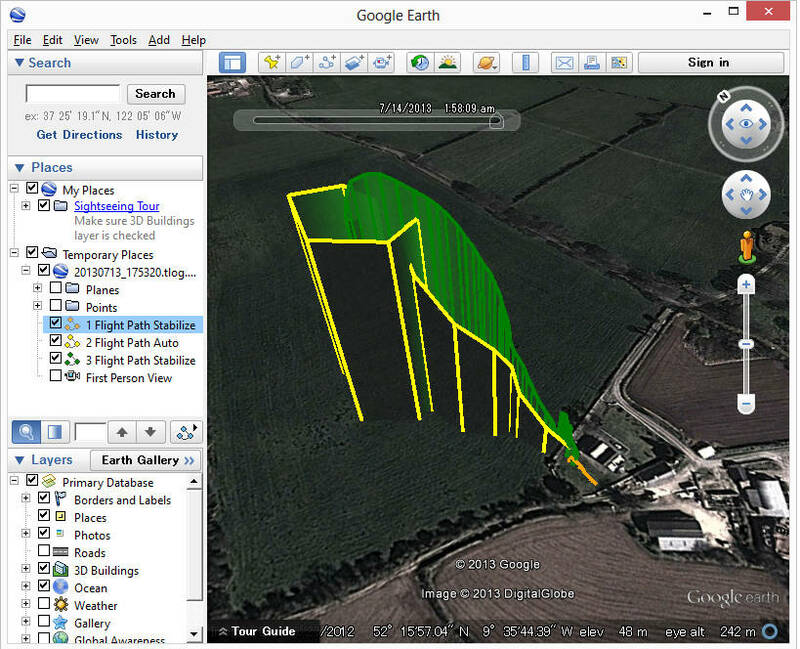 You can extract the parameters and waypoints from the tlog by following the same steps as for creating the KML file except that at the last step select “Extract Params” or “Extract WPs”. Extract Params will cause a .param file to be created along side the tlog. This file is tab separated and contains a full list of parameters (in the same order as they appear in the eeprom) along with their values during the flight. This can be opened in excel or a text editor. 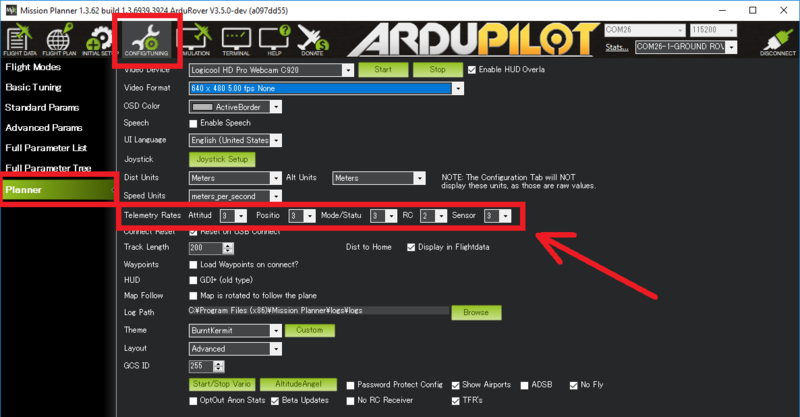 Extract WPs will create one or more .txt files containing any missions uploaded to the flight controller. 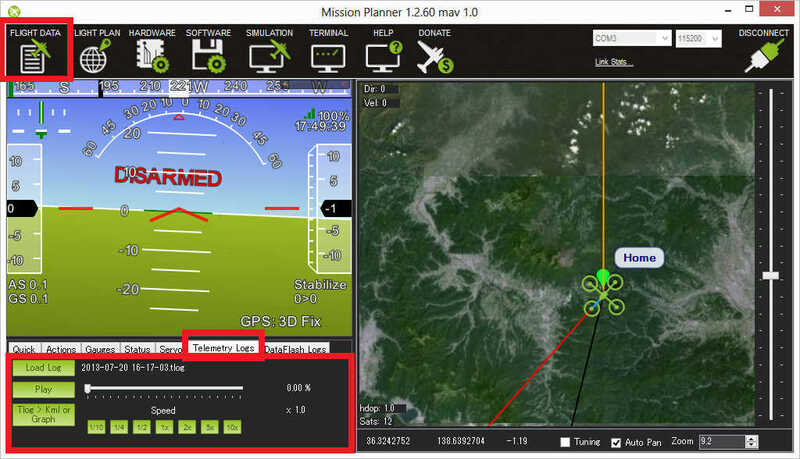 These files can be opened in the Mission Planner by switching to the Flight Plan screen, right-mouse-button clicking on the map and selecting “File Load/Save”, “Load WP File”.